The film opens with a fresh-faced Neimann alone behind a drum kit, repeatedly tapping out a rhythm with a pulsating devotion that draws the ear of the passing Fletcher, the highly respected conductor of the Shaffer School of Music Jazz Orchestra. This marks the overture to an intense and frightening educational relationship. Fletcher’s techniques are unorthodox and erratic, letting his metronome swing from fatherly concern and respect to the feral barking of insults and relentless bullying of his students. In a memorable early scene, Fletcher accuses one of his trombone players of being out of tune. He bullies a confession out of one player and sends him packing, only to reveal that he wasn’t really out of tune, but that a different player was. He manipulates the first player to teach the one that was really out of tune (and the rest of the band) a lesson. He is in charge, and everybody is expendable. This is just one of the ways that Fletcher manipulates people to help the few individuals he seems to see any merit in. Neimann seems to be one such individual. And individual is the operative phrase. Neimann is driven to the point of obsession with being “one of the greats”, eschewing friendship and a blossoming romantic relationship to pursue his individualistic ends. Around the family dinner table, Neimann and his brothers argue over the purpose of their various educations. For Neimann it is pure personal betterment. Learning to be a functioning member of society is unimportant. This is, to an extent, the same purpose that is given to education by 17th Century English philosopher John Locke. In his pamphlet entitled ‘Some Thoughts Concerning Education’, Locke outlines a pedagogical framework for creating a perfect man. In his view, a gentleman’s mind was built over time from the state of “tabula rasa”, or blank slate, that we all have at birth. We can be born with innate talents, but our knowledge of how to apply those talents has to be taught, and we should be nurtured through that process. Locke was perhaps inspired by Plato’s educational theories in The Republic into believing that the goal of this process was to produce exceptional individuals. One of the more contentious parts of Locke’s idea concerns the physical development of infants. Locke believed that parents should force their children to endure hardships in order to prepare them for the hardships later in life. He suggests deliberately putting holes in children’s shoes in winter to teach them to endure the cold. 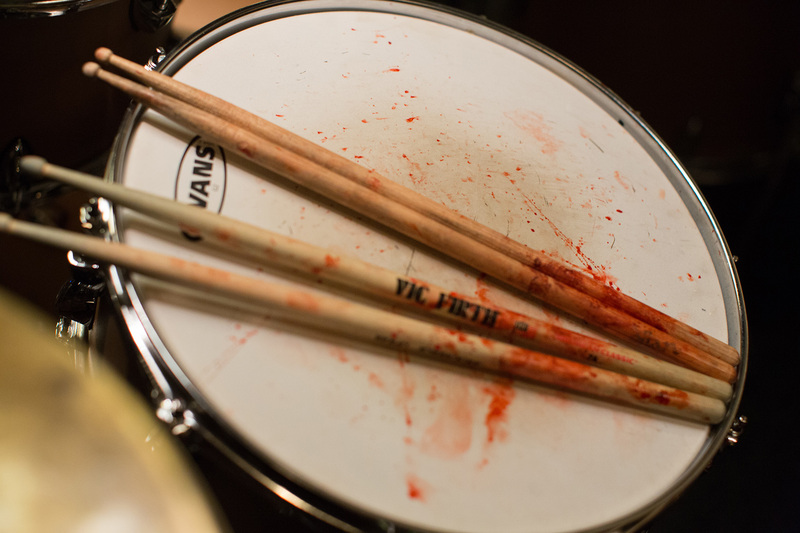 Similarly, Fletcher deliberately inflicts suffering on Neimann, forcing him to practice until the blood from his blisters splatters across the cymbals and snare skin. Fletcher is not doing this out of masochistic tendencies, but out of a desire to create a perfect (or if you like, Platonic Ideal) drummer. In contrast to Locke’s ideas, Jean-Jacques Rousseau (1712-1778) proposed an educational system that, instead of creating perfect individuals that can lead society, creates a perfect society through a notion of shared responsibility. Rousseau’s suggestion is that rather than using the didactic instruction of great masters, we should allow individuals to use their own sense of reason and drive to teach themselves. To borrow an oft used phrase in teaching circles, the purpose of education should not be to fill the sponge, but to light the fire. 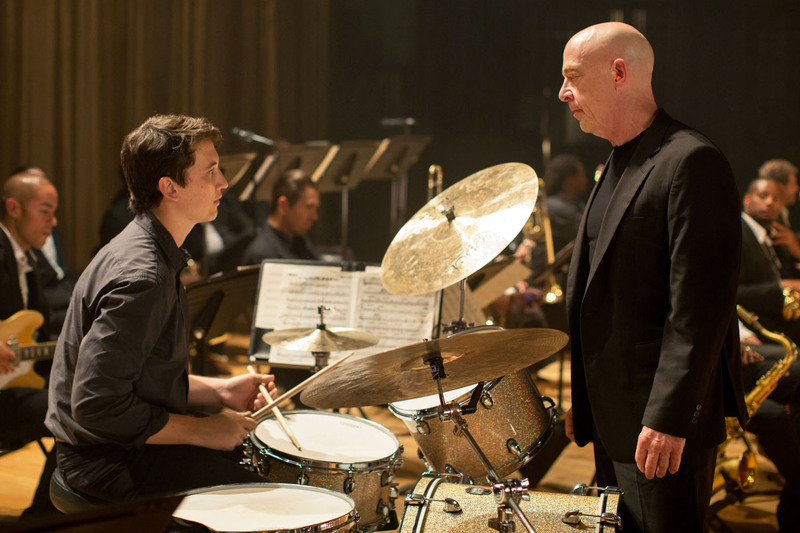 Towards the end of Whiplash, Neimann finally steps out of his sensei’s shadow, trampling on his authority during a climactic concert performance to deliver a blistering drum solo of his own devising. In doing so, Neimann becomes the individual that Rousseau believes he should. He has stepped away from the habit-forming repetition of Fletcher’s method to follow a path of creativity and inspiration. In Rousseau’s words “The only habit that a child should …form is that of forming none.” (Emile). This is perhaps the true message of the jazz paradigm. It is suggested in the film that iconic jazz saxophonist Charlie Parker only became great when his drummer Joe Jones hurled a cymbal at his head – but in fact his greatness lies in his own intuitive freedom of expression. He taught himself to develop his craft, and was not pushed into it through some apocryphal abuse from his drummer. It is difficult to say whether Neimann becomes great because of, or in spite of Fletcher. Indeed Locke and Rousseau themselves were working in pure conjecture rather than proper educational research. Yet, while debate over teaching methods rages on – with some policymakers favouring ‘chalk and talk’ learning and others welcoming more creativity – humanity still has the same goal. We all want to make ourselves great, whether that’s mastering a skill as an individual or doing something to improve society as a whole. Posted in 2014, Philosophy of EducationTagged Damien Chazelle, John Locke, Philosophy of Education, Plato, Rousseau, WhiplashBookmark the permalink.